Yep, that’s pretty much how I feel about this little girl. 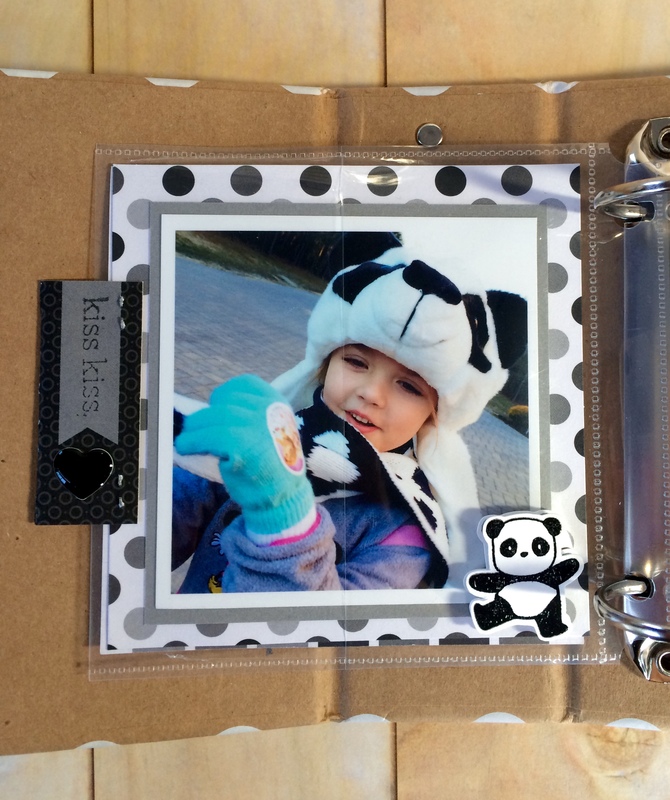 But, this is the littlest’s Hello 2015 album. However the next picture which I chose is just cuteness overload. 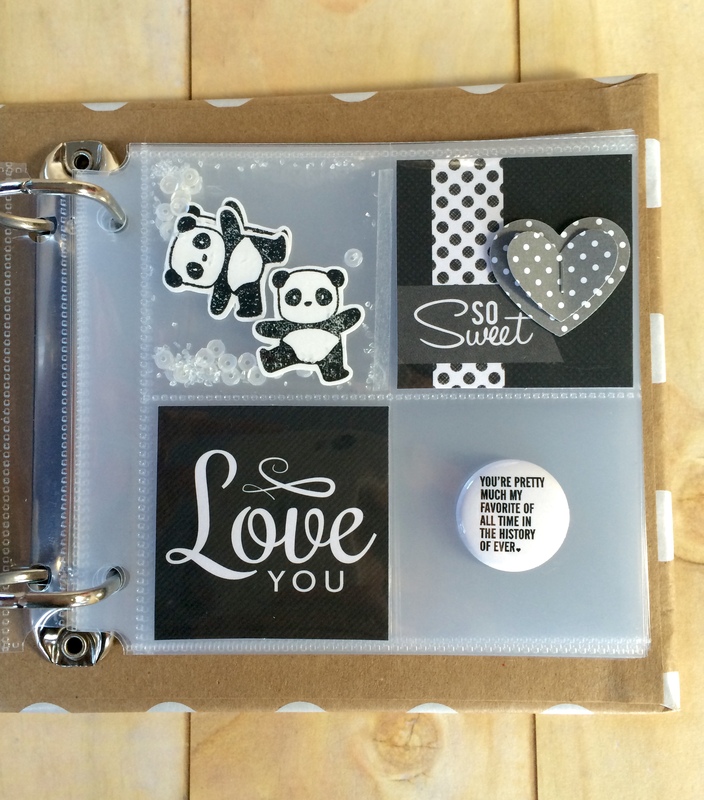 I continued the panda theme by using Mama Elephant Pandamonium stamps to create a panda and sequin filled pocket to compliment my other card filled pockets and flair badge. 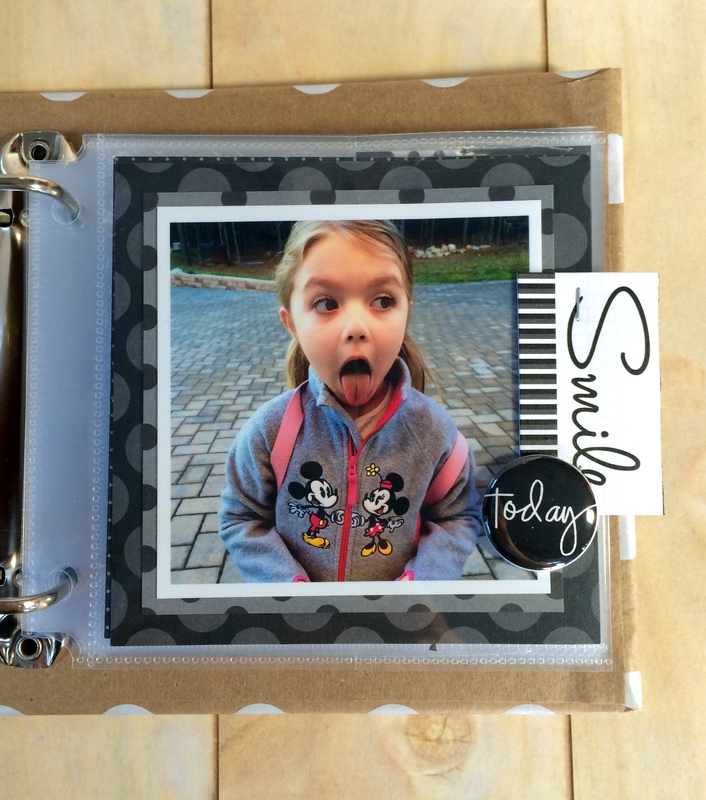 The DCWV Insta Photo Fun Pocket Pages, Die Cut Cardstock Cards and Mini Stacks make completing these pages so quick, easy and fun. It’s a perfect way to let my four-year old help with creating her own album. Now if she’d just return with my tape runner. Sigh. 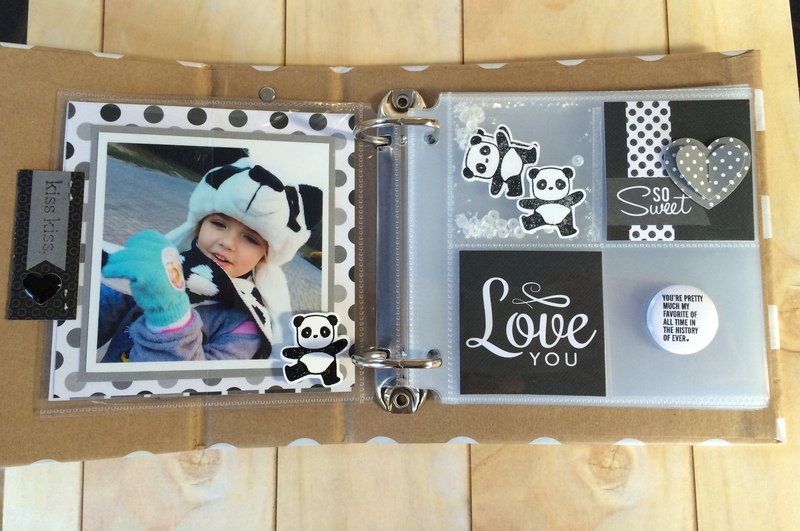 Wonderful – and I love how you used the stamped images as an embellishment! This album’s gonna be cuteness overload!